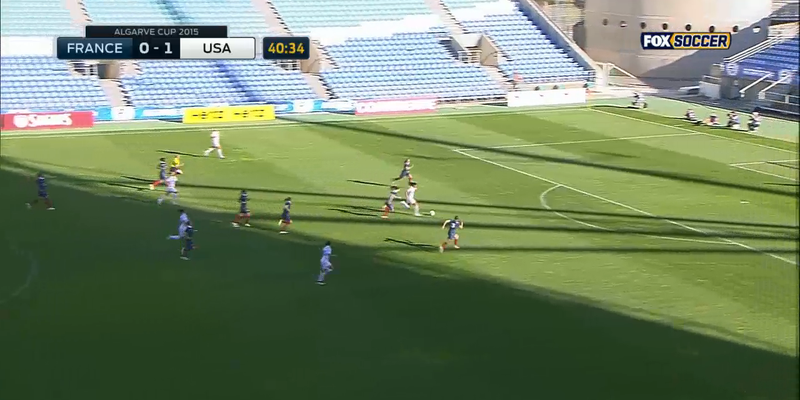 Like, those six players the USWNT's Christen Press runs past aren't scrubs. That's France, one of the best national teams in the world. And even they can't keep up with Press as, with two wicked bursts, she flies past them like they're stuck in quicksand before passing the ball into the back of the net. That goal was the last one in the team's 2-0 victory in the Algarve Cup final. USA! USA!